We came together and created INNATIVE collective in April 2017. Making our first exhibition at The Nook Gallery in Mornington, Victoria. 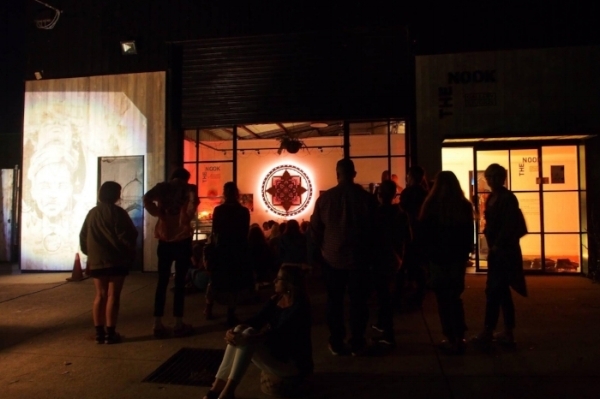 We recently finished our second show Jan 17 to Feb 3rd at 4Dverse in St Kilda. 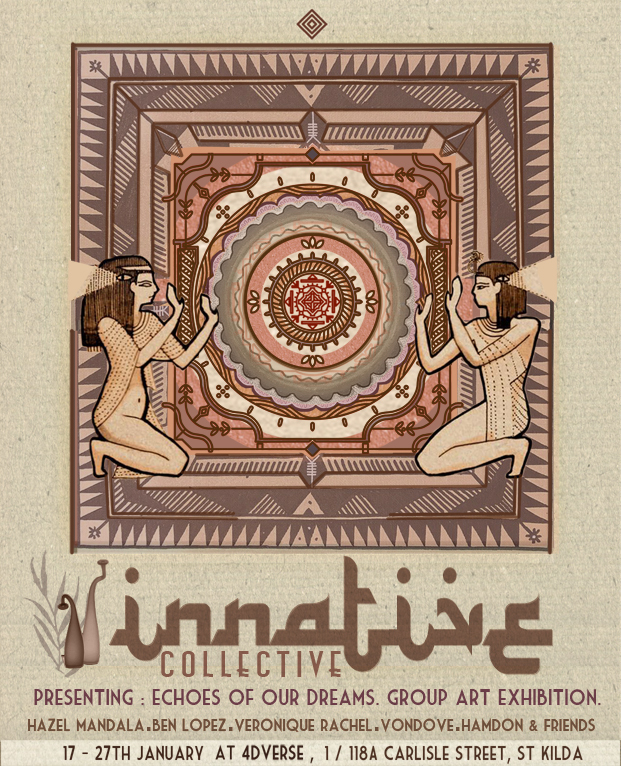 Innative collective is a multidisciplinary group of artists coming together for their second exhibition. Going deeper into the visionary realms and anchoring them into the heart of the human experience, they are co-creating collective dreams and weaving together through a shared connection to the earth and each other. Vero creates from a colourful space that exists within her visions. Drawing from nature, groovy colour palettes, patterns and symmetry - her familiar imagery invited the viewer to step into her comforting world. Weaving a dream, her hand is intuitive and playful as she expresses her being into paint. Dancing in the realms of hot glass a process steeped in traditional pasts linking back to thousands of years ago, Hamish is creating contemporary works with correlation to the human experience. Capturing the surreal malleability and process of the material as it freezes in time. Moonsage weaves the unknown yet known threads of universal tapestry. With artworks inspired from natural surroundings, plant magik and culture of existence from past, present and future. Exploring the ancient yet futuristic mischtechnique with details using mediums of ink, oil and acrylic paint. She also creates wearable art that brings forth a style that is inspired by tribal & nomadic essence - visually and aesthetically. And with the Gallery: 4Dverse.